The event will feature hands-on tech fun, ‘do-it-yourself’ projects, STEM activities, crafts, demonstrations and more. 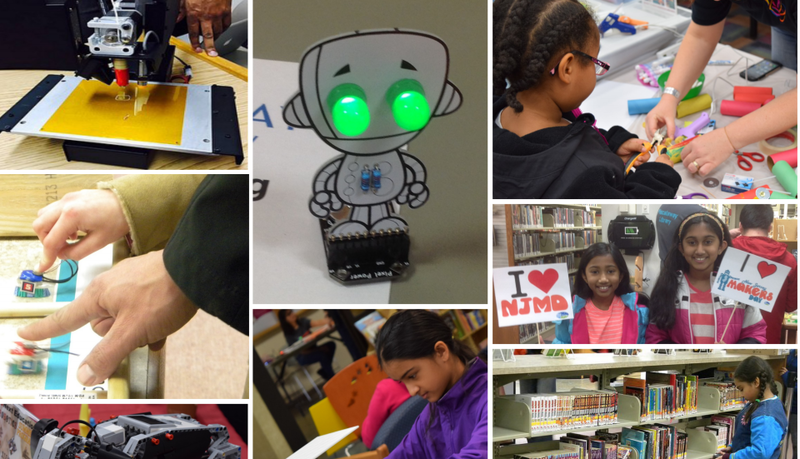 The whole family is invited to celebrate “maker” culture with hands-on tech fun, “do-it-yourself” projects, STEM activities, crafts, demonstrations and more during the Burlington County Library’s third annual “Makers Faire” on Saturday, March 25 in Westampton. Set for 10 a.m. to 3 p.m., this free event sponsored by The Friends of the Library, Inc. is part of the New Jersey Makers Day celebration. Whether a tech wiz or a little more homespun, the library says all visitors need to become a “maker” is an interest in hands-on projects and an enthusiasm for creating. Throughout the day, the library says visitors will be encouraged to create, tinker and explore at 30 “maker stations” set up inside the library while learning about local businesses and organizations taking part in the exciting “maker movement.” In addition, the Geoscience Mobile Lab presented by Rowan College at Burlington County and Palmyra Cove Nature Park will be stationed in the library parking lot for public touring. According to the library, last year’s Makers Faire drew approximately 800 visitors and this year’s event is expected to draw even more people interested in learning about the library’s 3D printer, catapults, fashion design, paper jewelry, art glass,LEGO exploration, coloring for adults, robots, origami, crafts, and more. In addition to library staff, a variety of local organizations, including NextFab, Think Like a Girl, and the Vegetarian Society of South Jersey will be hosting stations. The library is also partnering with the Girl Scouts of South Jersey to award badges to members of Girl Scout Troop 25010 who participate in Makers Faire. Also during the event, the Friends of the Library will be holding a special book sale in the lobby area featuring children’s books and more. New Jersey Makers Day began in 2015 to enhance community engagement and develop connections among residents throughout the state by collaborating with libraries, museums, small businesses and others to promote and explore new opportunities for entrepreneurship, innovation and hands-on learning experiences. In 2016, the event was expanded to two days, drawing more than 40,000 attendees to more than 230 participating sites across all 21 counties. This year’s celebration will be held at venues across the state on Friday, March 24 and Saturday, March 25. The County Library is located at 5 Pioneer Boulevard off Woodlane Road in Westampton. For more information about the library’s Makers Faire, call (609) 267–9660, or go to www.bcls.lib.nj.us. For more information about New Jersey Makers Day, visit www.njmakersday.org.